Current Celebrity Apprentice host Arnold Schwarzenegger told Americans to “stop whining” about President-elect Donald Trump on the Today show yesterday, and became a living meme right before our eyes by invoking his Kindergarten Cop character. 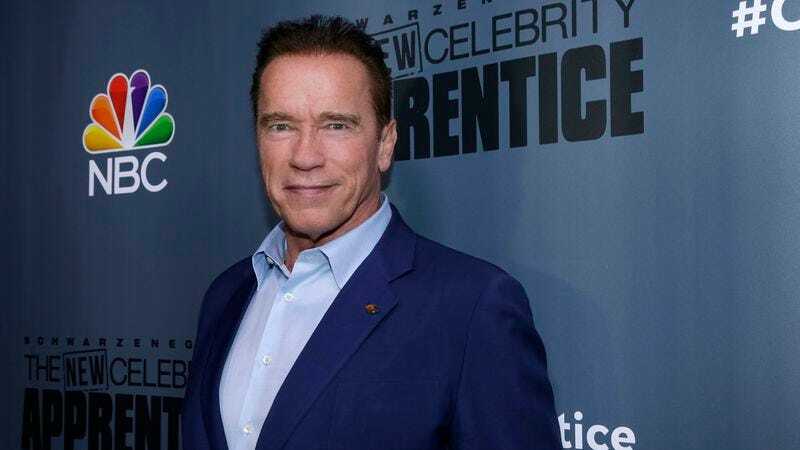 “Now he’s elected, and now it is very important that we all support the president, and that we all come together and we stop whining and it becomes one nation,” Schwarzenegger said, treating the Americans who object to a liar with white supremacist fans assuming the presidency like actual 5-year-olds. Schwarzenegger announced on Twitter that he would not vote for Trump back in October, and still expressed concerns with the president-elect’s environmental policies in the Today interview. But he’s also obviously inclined to crack dumb jokes about his show’s executive producer. “What was great about it was he was part of the negotiation, so I get millions of dollars for hosting the show but NBC doesn’t have to pay for it. Trump makes Mexico pay for it,” Schwarzenegger told Matt Lauer regarding Trump retaining his credit. “I mean, isn’t that great?” Hoo boy, Arnie. Maybe stick to physical humor.